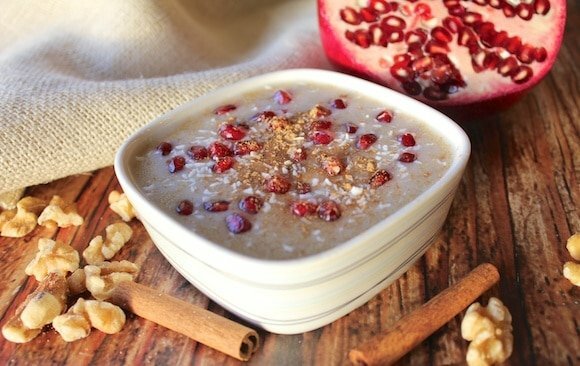 This Amaranth-Banana Porridge gets made in the pressure cooker, so it’s perfect for a healthy, gluten-free breakfast. And, it gets made fast! We are still getting cool nights, though, so waking up to a hot breakfast is both comforting and warming. This is an easy, delicious gluten-free breakfast with no added sugars. You can make it in the pressure cooker or on the stovetop. 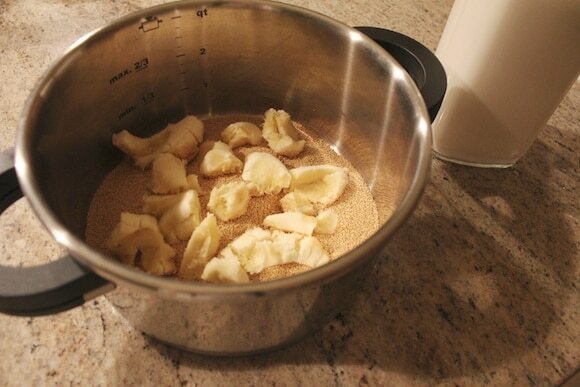 For pressure cooker: Combine amaranth, almond milk, and bananas into a 3-quart pressure cooker. Cook on high pressure for 3 minutes and let the pressure come down naturally. Serve hot with cinnamon sprinkled on top and collagen peptides stirred in. 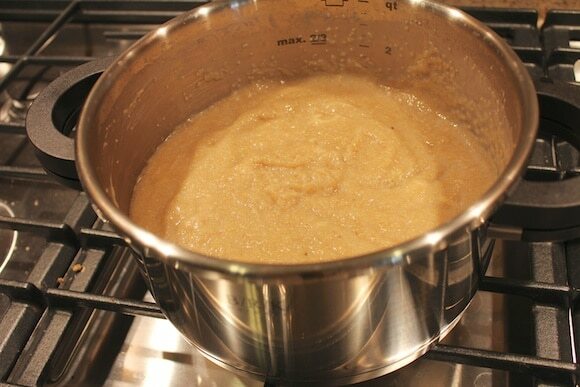 For stove-top cooking: Bring almond milk to a gentle boil in a lidded pot. Stir in the amaranth and sliced bananas, lower the heat, and simmer for 25-30 minutes, or until the grain has absorbed most of the liquid. 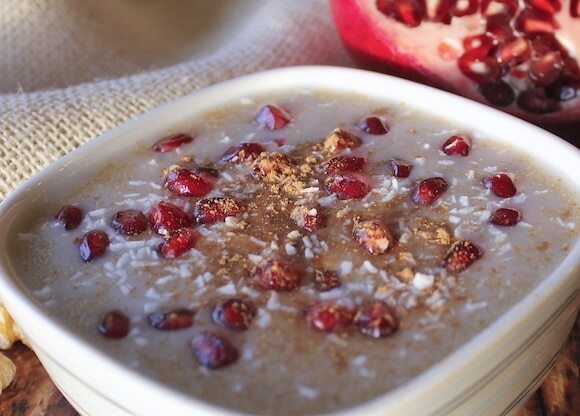 Serve hot with cinnamon sprinkled on top (porridge will thicken as it sits). Leave out the collagen for vegan. 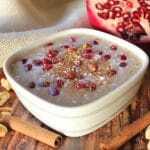 Topped with cinnamon and then some pomegranate arils and coconut to make it look pretty, it is a nutritious breakfast suitable for kids or adults. I am eager to try amaranth! This recipe looks super easy tool thanks Carrie! Amaranth is one thing I haven’t gotten into yet! I’ll have to try this recipe 🙂 thanks for sharing! It’s yum, Kate, and there are some cool nutritional benefits to amaranth as well. It’s high in iron and lysine, I remember those specifically when I was reading about it. Wow. I didn’t expect that texture after cooking. Interesting. Question: Your recipe says serves four, but you only use one cup of amaranth. How much is a serving? One of the problems I have with grains/cereals for breakfast is that I like to eat a lot at one meal, so even one cup of something doesn’t work for me. Let’s see, about the oats thing, I can’t remember where I found out about the protein sensitivity thing, but it wasn’t anything published like a study. Try Google’ing “oat protein sensitivity” and see what you can find. 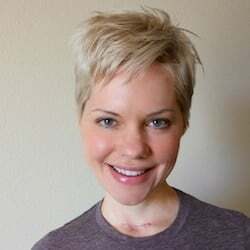 I only thought to do it after someone mentioned to me her sensitivity with eating oats and wondered what was up with that and if that could be the cause for my husband’s recent issues. For him, it’s more of a GI issue than what you described. Again, I have no hard research to show on this, but I was pretty surprised when I came across something about the protein and gluten-sensitive people maybe being more at risk. Ack! Your comment about the weather where you are certainly makes me think twice about complaining about it being too warm here. Stay warm!!! Hey Carrie, just a little note on the cooking times on the stove – I cooked it for 20 minutes and it was nowhere near ready. My packet said to simmer for 35 minutes and rest for 15 so I think it may need a longer time. Are there different varieties of amaranth that have different cooking times? Hi Cat! Oh darn, I’m sorry about the misinformation on my recipe. I found the cooking time for the stovetop online, so that was obviously incorrect. I’ve amended the recipe to reflect a longer cooking time. I hope you still liked it and it didn’t mess up your schedule too much having to cook it longer! How was the liquid to grain ratio? Sarah, thank you SO much for this resource!!! I had no idea that I could buy oats lower in the bothersome protein (I didn’t even remember its name) and this makes me so happy. I am going to order some ASAP. You are a wealth of information and I can’t tell you how much I appreciate the referral and info! Sarah, you’re also the brilliance behind the Max Tahini find, right? That is still my #1 favorite nut butter brand! Please let us know if the specialty oats work for you guys! I still miss oats more than any other single food my body cannot properly digest. With me it’s an inflammation trigger; and with Crohn’s disease, inflammation is my mortal enemy, so I just can’t go there. But if your husband can tolerate the specialty oats, then perhaps it’s worth risking a try for myself. Selfish of me, but it makes me feel better knowing that I’m not the only one who can’t eat oats; with Dr. F loving them so much, I’ve felt kinda isolated by my food intolerances sometimes. I will def let you know, Linda. 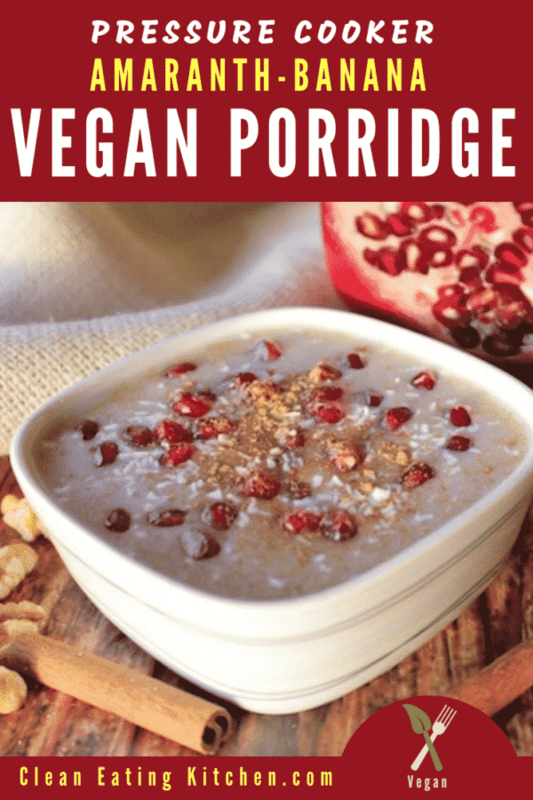 I just placed my order yesterday (the same day I learned about this type of specialty oats) and I can’t wait to try them out. Even though it’s only been about 3 weeks since we stopped eating oats, I already miss them. I had no idea that there was this type of intolerance. How wonderful that this alternative exists and that Sarah shared the resource. I really hope they work for you guys. I should have mentioned that the oats are also not “stabilized” like most brands do – so no heat has been applied to them at all. I have noticed that this seems to make it more difficut to digest when using the oats raw in recipes (but I also have a super sensitive tummy). I’ve tried adding hot water to the oats and letting them soak for a bit (or I bet just warming any liquid that is being used would work), which does seem to help. I haven’t tried them for classic overnight oats, but I’ve really been liking cooking the whole groats in the instant pot for 1 minute with a little extra water. When it comes down from pressure I throw in some of the rolled oats with the water still warm and let it cool down covered. By morning they are soft enough and have soaked up enough water that they are okay, but it seems some heat is necessary. Anyway, just wanted to give you a heads up that they are a bit different than normal oats. I really can’t wait to see how you like them and how they like you! They ship super fast so I expect a report by the end of the week 😉 And Linda I really hope they could work out for you too! Thanks for the note on cooking the oats, Sarah! I’ve had issues with uncooked oats so I will definitely cook the new ones. Sarah, the oats are amazing!!! I am beyond thrilled (and my husband is too) that the oats are so delicious and neither one of us have had any reactions. I am basically in love with the oat “rice” from the company, not to mention the standard rolled oats. I also bought the creamy oat cereal or whatever they call it, but I haven’t made that yet. I’ll do a dedicated blog post soon so everyone can learn about this amazing product. Thank you soooooo much for sharing this great resource! Hi Kimmy! 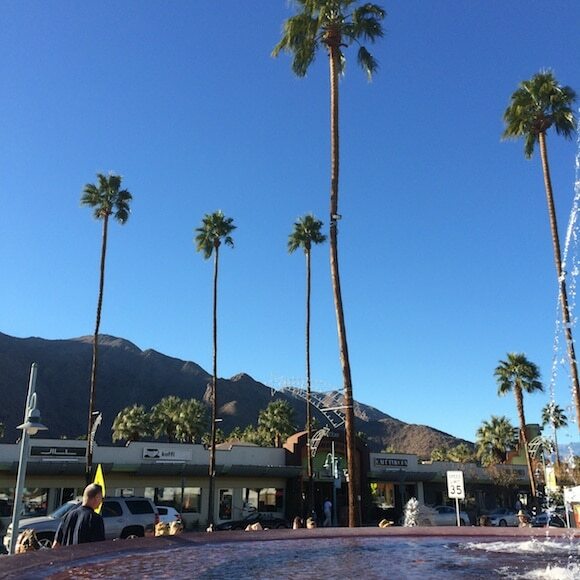 I’m also very sad about the drought, I wish it would RAIN!!! It sure has been COLD here in WI. I am going to try this for breakfast. Usually I have been eating berries (black or blue) and a banana w/ almond butter, but I am ready for something warm. Besides, my natural health Dr has put me on a gluten-free diet since she feels I might have hashimoto’s thyroiditis and this recipe fits the bill!! Oh yes, Paula, do give it a try. And, way to go with your doctor recognizing the possible connection b/w Hashi’s and gluten…mine never said a word until I got the nodule which then turned out to be cancerous. I only went gluten-free b/c I started getting hives after eating wheat a few years ago. It turns out, eating gluten-free isn’t that hard for me; there are so many other options. Good luck and stay WARM!!! Let me know what you think of this recipe, Oly! I’d love to hear your thoughts. Stay warm!!! 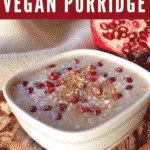 Carrie, I liked the porridge, had to get used to the taste, but then I thought it was a very good alternative. On my bag it said 1 part amarenth to 2 part almond milk, so I did that, and cooked it for 20 minutes, and it was perfectly cooked. Thanks! Oh good, glad to hear it, Oly. That’s interesting that there is so much variation with cooking amaranth. I’m glad you liked it. It is a little bland and my husband didn’t like it very much, but I really enjoyed the texture. Hi Carrie, Where do you buy the Amarnath from? Hi there! You can purchase amaranth online or at most health food stores. Let me know if you would like a link to the brand I buy. Take care! 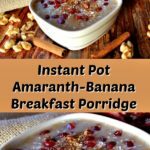 I haven’t made porridge out of amaranth for ages! This recipe definitely inspires me to try it again soon. Thanks for linking it up to Minimal Ingredient Mondays, I’m featuring it this week 🙂 Hope to see you back soon! Carrie, I was going back and reviewing your pressure cooker recipes and remembering your trails when starting to use one. Have you mastered the techniques of cooking with out oil in the pressure cooker? What has been your take on that? Especially with beans, can it be done without the oil to prevent the foaming? Sorry, a touch off subject. Thanks for your input, trying to decide if to invest in one or not. Hi there, thanks for the note. You’re right, I have had a real issue with learning how to use the pressure cooker. But, to be fair, I rarely use it anymore except for cooking very simple dishes like this one or beans. As far as beans go, I find I do not need oil as long as I don’t overfill the pot. I do use pre-soak my beans, though, as well as cooking them with kombu. I think the kombu really helps prevent the foaming. If you are going to invest in a PC, I’d recommend one of the more inexpensive electric versions. I made this this morning in my regular pressure cooker (non-electric) and when it should have started to steam, it spewed forth the milk and amaranth out of the seal. I let it cool down a little and peeked inside to see that the amaranth had covered the top steamer gadget not letting out any steam and thus, the seeping out the seal and gasket. So I removed all the mixture into a pot and continued cooking the conventional way and it turned out delicious. My question is this, what kind of pressure cooker do you use and have you made this is the kind that goes on the stove? I would like to continue to make this, but not sure how to on the stove with a regular PC. Hi Julie, oh darn! I’m sorry this didn’t work for you. My PC is 3-quarts, how big is yours? It is 8 quarts. I did not double the recipe. Everywhere I read online it says that I must add oil or butter in order to keep the foam down. Do you have an electronic PC or a conventional one? Do you put oil in your grains? Hi Julie. Nope, I do not add oil to my PC. I must say that I am still a novice, though, at using it. I have both a stovetop and electric PC, but for this recipe, I use the stovetop one. Maybe because I used soy milk instead of almond milk. Lovely breakfast this morning thanks to your recipe. I’ve made amaranth once before and it was an ok stovetop recipe. Love the instant pot version of yours and the simplicity of it. Couldn’t believe how perfectly sweet it was just letting it cook with the bananas. Only had unsweetened macadamia nut milk which worked well. Topped mine off with cinnamon and several raw walnuts. Thank you!! Awwwww, thanks Trish! I’m so happy you liked this recipe and the banana worked for you. XO! Love a good bowl of breakfast recipe especially made in Instant Pot. Simply amazing ! simple and easy! I omitted the bananas and added frozen mixed berries in after cooking. Delicious! I know you shared this a few years ago, but I wanted to say that I love this recipe. I get migraines from bananas and so I have made it a few times without any fruit. Today I peeled and chopped up two apples and threw them in to cook in the instant pot with the amaranth. It turned out great. I’m also grateful to the person above who mentioned the Montana Gluten Free oatmeal. I absolutely love it. Oatmeal is my favorite breakfast but if I eat too much I get an inflammatory response. I haven’t had any problems with this company. I love their waffle/pancake/all purpose mix too. Awwww, thanks for sharing that Melissa! I’m so happy you like this recipe and I sure love your suggestion about using apples instead of banana. I’m going to have to try that! XO.